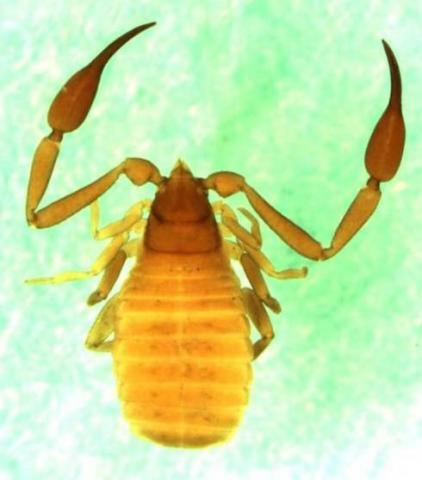 The Cheliferidae is the oldest pseudoscorpion family having been created for the first pseudoscorpion genus, Chelifer, which was described in 1762. 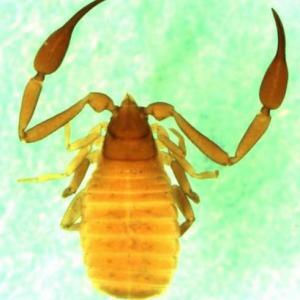 For most of the 19th century it included the majority of pseudoscorpions. It was restricted by Chamberlin (1931) and Beier (1932) to include those cheliferoids with the venom apparatus within both chelal fingers, represented by the subfamilies Cheliferinae and Withiinae. Weygoldt (1970) recognized the Withiidae as a distinct family, thus restricting the Cheliferidae. Harvey (1992) augmented the family through the transfer of the enigmatic Australasian genus Philomaoria from the Withiidae to the Cheliferidae. The family is currently divided into two subfamilies, Cheliferinae and Philomaoriinae. The Cheliferinae have 57 recognized genera and Philomaoriinae contain a single genus, Philomaoria. The poorly described genus Ectoceras and the Chinese amber Trachychelifer liaoningense cannot be placed within any existing group. Cheliferines are found all over the world, but appear to be less diverse in the Australasian and Neotropical regions than in other regions of the world. Philomaoriines occur in New Zealand and nearby islands. Beier, M. (1932e). Pseudoscorpionidea II. Subord. C. Cheliferinea. Tierreich 58: i-xxi, 1-294. Cheliferidae Risso, 1827: 157; Westwood, 1836: 10; Hagen, 1879: 400; Simon, 1879a: 18; Tömösváry, 1882b: 182-183; Hansen, 1884: 516-531; Daday, 1888: 113; Balzan, 1890: 409; Balzan, 1892: 509; Hansen, 1894: 231; Becker, 1896: 326; Tullgren, 1899a: 164-165; Ellingsen, 1904: 1; Tullgren, 1906a: 201; With, 1906: 115-116; Kew, 1911a: 39; Lessert, 1911: 9; Comstock, 1913: 45; Moles and Moore, 1921: 6; Chamberlin, 1923c: 369; Redikorzev, 1924b: 21; Pratt, 1927: 409; Bacelar, 1928: 190 (as Cheliceridae [sic]); Schenkel, 1928: 55; Väänänen, 1928a: 17; Chamberlin, 1931a: 244-246; Chamberlin, 1931c: 289-290; Beier, 1932e: 191; Beier, 1932g: 188-189; Chamberlin, 1935b: 481; Roewer, 1937: 304-305; Hoff, 1949b: 485; Petrunkevitch, 1955: 82; Hoff, 1956d: 1-2; Morikawa, 1960: 148; Dubinin, 1962: 442; Meinertz, 1962: 96 (as Cheriferidae [sic]); Beier, 1963b: 279-280; Muchmore, 1973b: 58; Murthy and Ananthakrishnan, 1977: 145; Muchmore, 1982a: 101; Harvey, 1985b: 131; Legg and Jones, 1988: 128; Harvey, 1991a: 482; Gärdenfors and Wilander, 1992: 29; Harvey, 1992c: 1425-1426.